Segun Onagunwa, a 42-year-old Lagos livestock farmer, has drowned in a well in his farm while rescuing a goat at Joe Arubiewe Street, Mosan, in the Egbeda area of the state. The Lagos State Fire Service recovered his corpse and handed it over to policemen from the Gowon Estate Police Division. 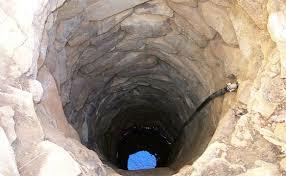 Onagunwa came to feed his goats and chicken when one of the goats broke free and fell inside the well. He then put a ladder in the well and climbed in to rescue the lost goat and drowned in the process. According to an official, his son tried to get help when Onagunwa didn't surface in time but he couldn't open the gate to the farm. â€œHe locked the gate from inside and the boy was unable to open the gate," the official said. "His hand could not reach where the gate was locked. He was crying. It was his mother that eventually came when it was getting late. â€œShe had called him, but his line rang out. She raised the alarm on getting to the farm in the evening and we were called to the scene. The man had spent a few hours in the well. Unfortunately, he was recovered dead. We had to remove a lot of water before we could locate his corpse in the well,â€￾ the source said.